Nora Anderson is in her sixteenth year as Head of Carmel Academy. Nora has overseen Carmel Academy's growth from a small, community day school on the second floor of a synagogue to an accredited institution with 225 students on a 17-acre campus. She has been a presenter at RAVSAK and PEJE Conferences, has served as a mentor in the RAVSAK-AVI CHAI SuLaM program for Heads of School with limited Jewish background, and is currently a mentor in the prestigious Day School Leadership Training Institute (DSLTI), a joint JTS and AVI CHAI foundation venture. 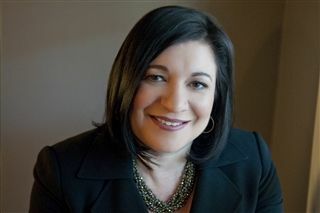 Nora also serves on the Board of the Connecticut Association of Independent Schools, and has also served on the editorial board of HaYidion, Prizmah Center For Jewish Day Schools' quarterly publication. Prior to joining Carmel Academy, Nora served as an Assistant Principal for the Middle School in Dobbs Ferry, NY, and prior to that as an Assistant Principal at PS 95 in the Bronx, NY. She holds Master's degrees in School Supervision and Administration and in School Guidance and Counseling from Bank Street College and Lehman College, respectively. She holds additional advanced certifications from Columbia University Business School Executive Educations’ Institute for Day School Leaders and from Teachers College. Nora began her career as a mathematics teacher and also worked as a Middle School Guidance Counselor for ten years. She was raised in Lima, Peru and lives in New York City with her husband. She has brought up five children including her youngest son, Noam, a Carmel Academy alumnus who recently finished his service in the Israel Defense Force. Rebecca Hammerman has been serving the educational community in multiple capacities for the past eighteen years. Before beginning her tenure at Carmel Academy in 2014, Rebecca served as the Assistant Dean of List College, the undergraduate program at the Jewish Theological Seminary. In addition, Rebecca has taught children of all ages at Independent Schools and Jewish Day Schools in New York City, Westchester and the D.C. area. Rebecca received her undergraduate degrees from Columbia University and from the Jewish Theological Seminary and a Master's Degree in Education from Bank Street College. Recently, Rebecca participated in Harvard University’s Art of Leadership Program and is currently a participant in the CAIS Program in Independent School Leadership. She was born and raised Baltimore, MD and now lives in Westchester County with her husband and three children. Dr. Tali Aldouby-Schuck served as a TaNaKH Educator Consultant for the AVI CHAI Jewish Day School Standards and Benchmarks Project. She completed her Doctorate in Education and Jewish Studies at the NYU Steinhardt School of Education. 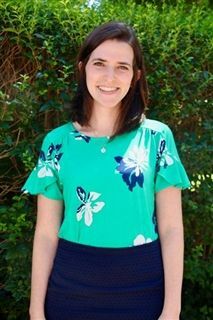 Her dissertation research explored how Catholic and Jewish Bible teachers' instructional practices are informed by their background, ideas and beliefs regarding the Bible. While pursuing her doctorate at NYU, Tali provided classroom supervision and mentoring for students pursuing their Master's Degree in Jewish Education at the Jewish Theological Seminary's Davidson Graduate School of Jewish Education. In addition to teaching Bible at the Abraham Joshua Heschel School in Manhattan, Tali was a Melton Fellow at the Hebrew University. Her research focused on Bible teachers in American Jewish day schools who grew up as secular Israelis and how their secular upbringing influenced their pedagogy and content choices. Tali is an alumna of The Paradigm Program, introducing a new approach to understanding Jewish identity through the lens multi-cultural settings, philosophy and society. She grew up in Israel and served in the IDF as a Squad Leader and a Krav Maga Instructor in Basic Training. Tali resides in New Rochelle, NY with her husband, Rabbi David Schuck, and their three children. Prior to joining Carmel Academy’s educational leadership team, Jennifer Gensior was a faculty member of The Writing Revolution, where she provided professional development and supported teachers and schools in their implementation of a research-based writing methodology. She was a Regional Special Education Trainer for the Regional Special Education Technical Assistance and Support Center, a BOCES based program funded by the New York State Department of Special Education, where she provided teacher workshops and training sessions on best practices in instruction. She also spent five years at Solomon Schechter School of Westchester where she was a fifth grade team leader and special education teacher. During her tenure at the school, she also served as Chairperson of the student support department where she helped redesign the special education department and services for the entire lower school. She has a vast amount of professional development expertise in areas of special education, reading and writing instruction and curriculum. She has also served on the Literacy Work Group, a New York statewide group that developed quality indicators in the area of literacy for grades K-12. from Tufts University, an MPS in Childhood and Special Education from Manhattanville College, and MEd in School Administration from Hunter College. Rabbi Jordan Soffer is the Rabbi-in-Residence at Carmel Academy. Originally from New City, NY, Jordan graduated from the University of Wisconsin, Madison, where he studied Religion and Jewish Education. Jordan continued his studies at Yeshivat Maaleh Gilboa, Pardes Institute of Jewish Studies, and Mechon Hadar. Jordan received smicha from Yeshivat Chovevei Torah and holds a Master’s Degree in Education from Yeshiva University. He has worked or interned at Ramah Day Camp in Nyack, Kinneret Day School, Abraham Joshua Heschel Middle School, Congregation Orach Chaim and Hebrew Institute in White Plains. Jordan recently completed the pilot cohort of the Jewish Agency’s Adaptive Leadership Lab. He and his wife, Marti, an ObGyn Resident at Mt. Sinai Hospital, live in Manhattan, with their daughter, Maayan Devorah. 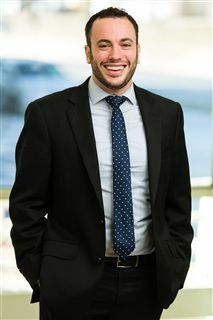 Jonathan Holub began his special education career in at Westfield Day School in Rye, NY before coming to Carmel Academy in 2008, at which time he joined the faculty as a 4th and 5th grade teacher in the PALS program for students with special learning needs. He has been on the ground floor of the PALS program’s growth and was instrumental in growing the PALS Middle School program, where he was a math teacher for seven years. He was also Carmel Academy's Middle School Dean prior to his current position. Jonathan holds a BA in Psychology from SUNY Albany and an MST in Elementary Education from Iona College. He is currently completing a degree in Educational Leadership at Manhattanville College. He lives in upper Westchester with his wife, Ariana, and two children, JJ and Ashton. Dr. Jeff Kilstein serves as the Director of Guidance at Carmel Academy. Originally from New Jersey, Jeff studied psychology and English Literature at Yeshiva University in New York City. He first became acquainted with Carmel while working as the Youth Director at the Young Israel of Stamford. 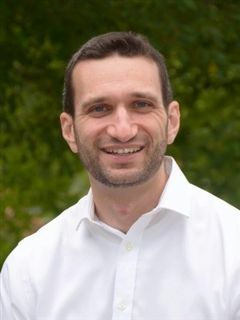 He then began his career with Carmel as a middle school Rabbinics teacher, while simultaneously pursuing his doctorate in psychology at Yeshiva University. Upon completion of his internship, he returned to Carmel to serve first as School Psychologist, then as Director of Guidance. Jeff has training and work experience in a variety of school and therapeutic programs, including White Plains Hospital, the Rose F. Kennedy Children’s Evaluation and Rehabilitation Center (RFK CERC) of Albert Einstein College of Medicine, Yeshivat Noam, and Bi-Cultural Day School. He has spent several summers working as the Lead Teacher of New York University’s Child Study Center’s Summer Program for Kids (SPK) teaching children with ADHD. Jeff and his wife Talia, also a child psychologist, live in Stamford, CT.
Born and raised in Rochester, NY, Lisa serves as the School Social Worker at Carmel Academy. Before starting at Carmel, Lisa worked for five years in the New York City public school system both as a social worker and as a special education teacher in elementary schools in Brownsville, Brooklyn, and in the South Bronx. She holds a Masters Degree in Childhood Education from Relay Graduate School of Education as well as a Masters Degree in Social Work from Hunter College Silberman School of Social Work. Lisa has therapeutic experience in a variety of other settings, including Bronx Lebanon Hospital Child and Adolescent Inpatient Psychiatric Unit, and the Allegheny County Office of the Public Defender in Pittsburgh, PA, where she worked with adolescents in a juvenile detention center. Lisa and her husband, Rabbi Zachary Sitkin, live in New Rochelle with their son, Avi.